The Stryker iSuite is the world's most advanced Operating Room Suite. .
Click Here or Scroll Down to learn more about how to transform your OR. We are committed to working with you to improve outcomes for patients and caregivers. That’s why each component of the iSuite is designed to provide best in class performance and safety throughout the continuum of care. 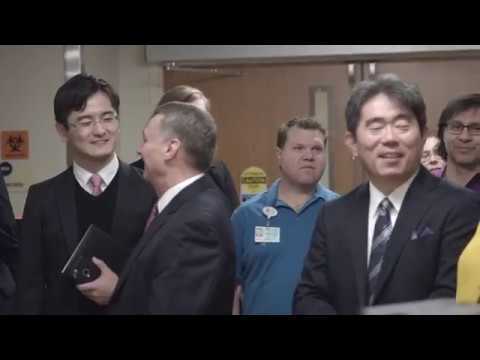 Video Integration, Surgical Lighting, Booms, & Surgical Tables. 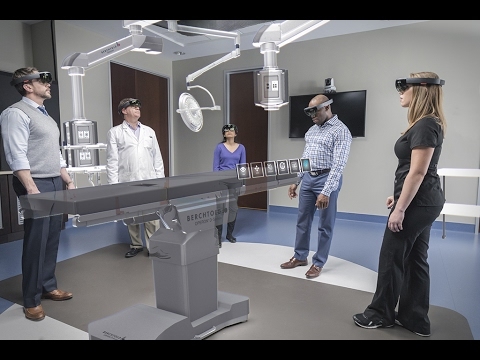 Stryker & Microsoft have partnered to change the way we design and build operating rooms. We've incorporated the Hololens into our 3D Design program allowing our clinicians to visualize their environment of care in virtual reality to ensure it meets and exceeds all the room's expectations. Novant Health recently opened their brand new Hospital, Mint Hill Medical Center in Mint Hill, NC. On this project we installed 4 iSuites, 2 Trauma Rooms, and 13 Exam Rooms. This lab includes Stryker lights, booms, video and video integration. The Stryker equipment facilitates live video conferencing enabling surgeons to practice team medicine mid surgery giving the Sanger Heart Team the opportunity for the best possible outcome. Click for Our Annual Review.